The workshop served to improve prosecutors’ understanding of the Basel Convention provisions relating to the illegal traffic of hazardous wastes and other wastes, promote information exchange between prosecutors on environmental cases, and increase prosecutors’ awareness of existing networks of prosecutors, or stimulating the formation of new networks of prosecutors dealing with environmental matters, in particular the illegal traffic of hazardous wastes and other wastes. Participants participated in interactive sessions dealing with case studies illustrating the range of issues a prosecutor may be confronted to when prosecuting a case of illegal traffic in hazardous or other wastes. They also discussed the institutional challenges in prosecuting cases of illegal traffic of hazardous and other wastes under the Basel Convention and possible ways to overcome these challenges. The workshop was organized by the Secretariat of the Basel Convention with support from with the Basel Convention Regional Centre in Bratislava, Slovakia. Prosecutors play a key role in ensuring that any criminal proceedings pertaining to alleged cases of illegal traffic are successfully brought forward and handled. Ultimately, proper prosecution will ensure that the rule of law is upheld, that justice is served and that communities and the environment are protected against the harmful consequences of improperly managed transboundary movement and disposal of hazardous and other wastes. With this in mind, the Conference of the Parties to the Basel Convention mandated the development of an instruction manual on the prosecution of illegal traffic in hazardous wastes and other wastes, a manual that was approved during its tenth meeting in October 2011. 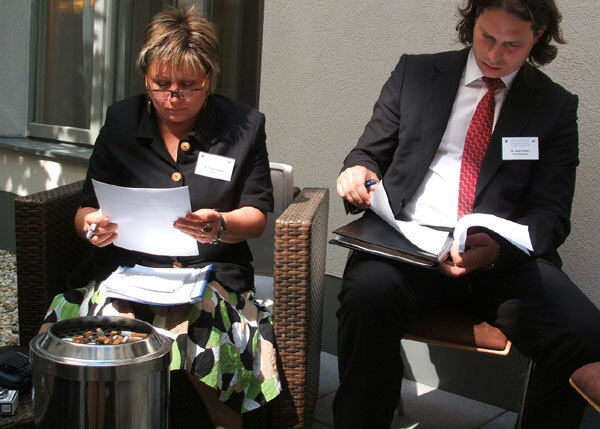 At that time, the Conference of the Parties also requested the Secretariat of the Basel Convention to organize training activities for prosecutors, based on the manual. The workshop for Central and Eastern Europe, Caucasus and Central Asia Countries on the Prosecution of Illegal Traffic of Hazardous Wastes and Other wastes under the Basel Convention, Bratislava, is the first of a series of two workshops that will be organized by the Secretariat of the Basel, Rotterdam and Stockholm Conventions over the period 2012-2013, with the financial support from the European Union.